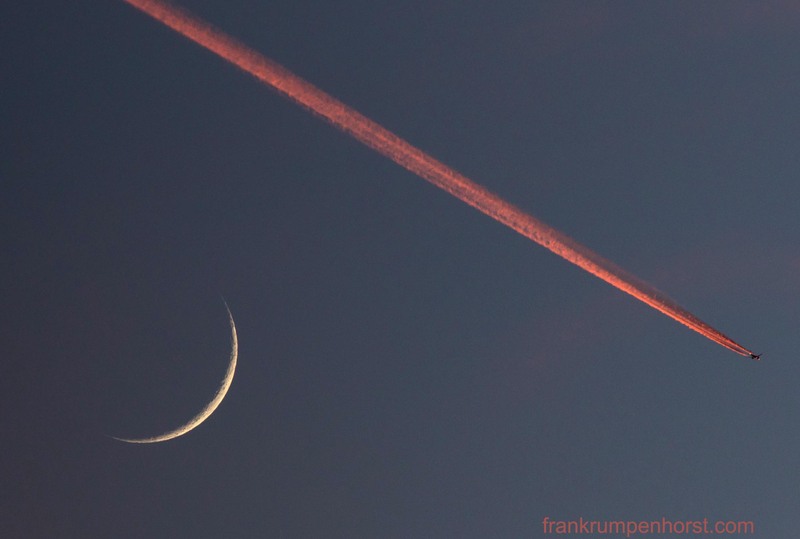 The setting sun colors the contrails of a plane that flies past the crescent moon over Frankfurt, Apr. 20. This entry was posted in aviation, germany, Photo, Photography and tagged aviation, color, contrails, crescent, fly, jet, moon, night, plane, sickle, sky, sunset. Bookmark the permalink.